I used to love writing letters when I was younger. It’s far more satisfying writing on pretty paper, popping it in an envelope and posting it yourself, rather than typing out a message and hitting send. Receiving hand written letters is even nicer, especially when it’s hidden between a dreary student loan statement and a phone bill. This is one of the reasons that I wanted to take part in Dream Sequins competition, which I blogged about recently. The concept of sending a postcard to a couple of other talented bloggers from across the globe is brilliant, and I’m really looking forward to getting my new penpals! The other reason is that I really really want to have an excuse to buy lots of pretty stationery. Stationery is one of my favourite things to buy, especially when you buy a brand new writing pad and use your best handwriting on that first fresh page. First of my list is one of these stamps (top right) from Etsy seller cupcaketree. I’d stamp them on the back of envelopes for a personalised touch. They’ve got some martini glass stamps too which I’m seriously eyeing up too. These cupcake address labels (left) from SnailMailPals are delicious looking, and will hopefully put a smile on the postman’s face! A cupcake with a smiley face? What could be happier?? This stationery paper (right) from cloudydreams is cheerful and kindly caters to the fact that without guidelines, my handwriting tends to slide down the page. 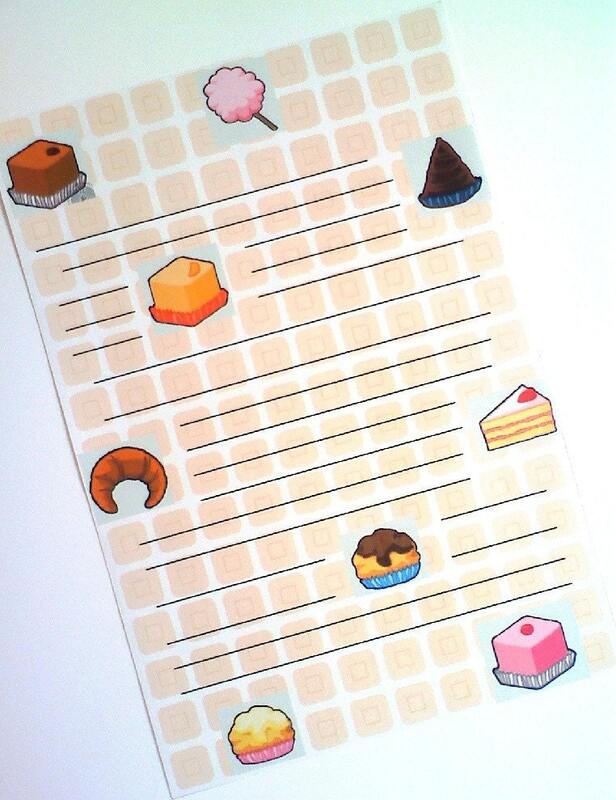 The Etsy store has a great selection of food based writing paper, including this ice cream themed one. What’s your favourite stationery buy? Do you still handwrite letters? 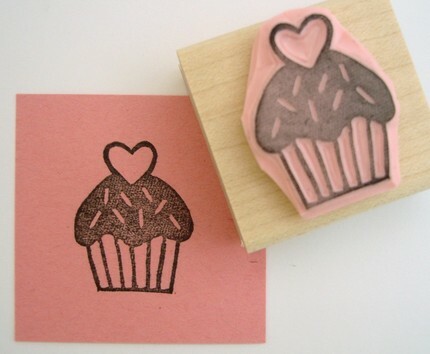 OMG I'm loving those cupcake inspired stationary finds! So cute! And I'm excited about seeing all these great postcards from around the world! stationEry! 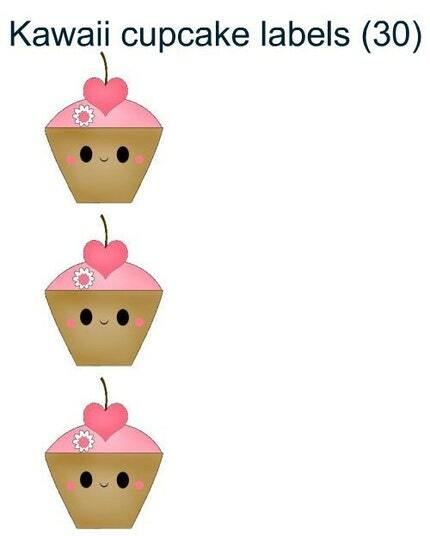 'e' for envelope is how I remember :-)i neeeeed the cupcake stamp, awww! Ooops! I've amended it now, thanks for pointing that out :)It is gorgeous, there are so many cute stamps on that site!